This article is about a step in the removal of a public official. For challenging a witness in a legal proceeding, see Witness impeachment. Brazilian President Dilma Rousseff and South Korean President Park Geun-hye were both impeached. Impeachment is the process by which a legislative body levels charges against a government official. It does not mean removal from office; it is only a statement of charges, akin to an indictment in criminal law. Once an individual is impeached, he or she must then face the possibility of conviction by a legislative vote, which judgment entails removal from office. Because impeachment and conviction of officials involve an overturning of the normal constitutional procedures by which individuals achieve high office (election, ratification, or appointment) and because it generally requires a supermajority, they are usually reserved for those deemed to have committed serious abuses of their office. In the United States, for example, impeachment at the federal level is limited to those who may have committed "Treason, Bribery, or other high crimes and misdemeanors". Impeachment exists under constitutional law in many countries around the world, including Brazil, the Republic of Ireland, India, the Philippines, Russia, South Korea, France and the United States. Impeachment was first used in the British political system. Specifically, the process was first used by the English "Good Parliament" against Baron Latimer in the second half of the 14th century. Following the British example, the constitutions of Virginia (1776), Massachusetts (1780) and other states thereafter adopted the impeachment mechanism, but they restricted the punishment to removal of the official from office. As well, in private organizations, a motion to impeach can be used to prefer charges. The Austrian Federal President can be impeached by the Federal Assembly (Bundesversammlung) before the Constitutional Court. The constitution also provides for the recall of the president by a referendum. Neither of these courses has ever been taken. This is likely because while the President is vested with considerable powers on paper, they act as a largely ceremonial figurehead in practice, and are thus hardly in a position to abuse their powers. The President of the Federative Republic of Brazil, state governors and municipal mayors may be impeached by the Chamber of Deputies and tried and removed by the Federal Senate. Upon conviction, the officeholder has his political rights revoked for eight years—which has the effect of barring him from running for any office. Fernando Collor de Mello, the 32nd President of Brazil, resigned in 1992 amidst impeachment proceedings. Despite his resignation, the Senate nonetheless voted to convict him and bar him from holding any office for eight years, due to evidence of bribery and misappropriation. In 2016, the Chamber of Deputies initiated an impeachment case against President Dilma Rousseff on allegations of budgetary mismanagement. Following her conviction, she was replaced by Vice President Michel Temer, who had served as acting president while Rousseff's case was pending. The President of Bulgaria can be removed only for high treason or violation of the constitution. The process is started by a two-thirds majority vote of the Parliament to impeach the President, whereupon the Constitutional Court decides whether the President is guilty of the crime of which he is charged. If he is found guilty, he is removed from power. No Bulgarian President has ever been impeached. The same procedure can be used to remove the Vice President of Bulgaria, which has also never happened. The process of impeaching the President of Croatia can be initiated by a two-thirds majority vote in favor in the Sabor and is thereafter referred to the Constitutional Court, which must accept such a proposal with a two-thirds majority vote in favor in order for the president to be removed from office. This has, however, never occurred in the history of the Republic of Croatia. However, in case of a successful impeachment motion a president's constitutional term of five years would be terminated and an election called within 60 days of the vacancy occurring. During the period of vacancy the presidential powers and duties would be carried out by the Speaker of the Croatian Parliament in his/her capacity as Acting President of the Republic. Prior to 2013 the President of the Czech Republic could be impeached only for an act of high treason (which is not defined in the Constitution of the Czech Republic itself). The process has to start in the Senate of the Czech Republic which only has the right to impeach the president, this passes the case to the Constitutional Court of the Czech Republic which has to decide whether the President is guilty or not. If the Court decides that the President is guilty then the President loses his office and the ability to be elected President of the Czech Republic ever again. No Czech president has ever been impeached, though, members of the Senate sought to impeach President Vaclav Klaus in 2013. This case was dismissed by the court reasoning that his mandate has expired. In 2013 the constitution changed; now the process can be started by at least three-fifths of present senators and must be approved by at least three-fifths of all members of Parliament. Also, the President can be impeached not only for high treason (newly defined in the Constitution) but also for a serious infringement of the Constitution. The President of France can be impeached by the French Parliament for willfully violating the Constitution or the national laws. The process of impeachment is written in the 68th article of the French Constitution. A group of senators or a group of members of the National Assembly can begin the process. Then, Both the French National Assembly and the French Senate have to acknowledge the impeachment. After the upper house and the lower house's agreement, both the two houses unite to form the High Court. Finally, the High Court must decide to declare the impeachment of the President of France or not. The Federal President of Germany can be impeached both by the Bundestag and by the Bundesrat for willfully violating Federal law. Once the Bundestag or the Bundesrat impeaches the president, the Federal Constitutional Court decides whether the President is guilty as charged and, if this is the case, whether to remove him or her from office. The Federal Constitutional Court also has the power to remove federal judges from office for willfully violating core principles of the federal constitution or a state constitution. The impeachment procedure is regulated in Article 61 of the Basic Law for the Federal Republic of Germany. The president, judges including chief justice of supreme court and high courts can be impeached by the parliament before the expiry of the term for violation of the Constitution. Other than impeachment, no other penalty can be given to a president in position for the violation of the Constitution under Article 361 of the constitution. However a president after his term/removal can be punished for his already proven unlawful activity under disrespecting constitution, etc. No president has faced impeachment proceedings. Hence, the provisions for impeachment have never been tested. The president in position cannot be charged and needs to step down in order for that to happen. The Assembly of Experts can impeach the Supreme Leader of Iran and appoint a new one, although the Supreme Leader elects half the Assembly. The President of Iran can be impeached jointly by the members of the Assembly (Majlis) and the Supreme Leader. A new presidential election is then triggered. Abolhassan Banisadr, Iran's first president, was impeached in June 1981 and removed from the office. Mohammad-Ali Rajai was elected as the new president. Cabinet ministers can be impeached by the members of the Assembly. Presidential appointment of a new minister is subject to a parliamentary vote of confidence. Impeachment of ministers has been a fairly commonly used tactic in the power struggle between the president and the assembly during the last several governments. In the Republic of Ireland formal impeachment only applies to the Irish president. Article 12 of the Irish Constitution provides that, unless judged to be "permanently incapacitated" by the Supreme Court, the president can only be removed from office by the houses of the Oireachtas (parliament) and only for the commission of "stated misbehaviour". Either house of the Oireachtas may impeach the president, but only by a resolution approved by a majority of at least two-thirds of its total number of members; and a house may not consider a proposal for impeachment unless requested to do so by at least thirty of its number. Where one house impeaches the president, the remaining house either investigates the charge or commissions another body or committee to do so. The investigating house can remove the president if it decides, by at least a two-thirds majority of its members, both that the president is guilty of the charge, and that the charge is sufficiently serious as to warrant the president's removal. To date no impeachment of an Irish president has ever taken place. The president holds a largely ceremonial office, the dignity of which is considered important, so it is likely that a president would resign from office long before undergoing formal conviction or impeachment. The Republic's Constitution and law also provide that only a joint resolution of both houses of the Oireachtas may remove a judge. Although often referred to as the "impeachment" of a judge, this procedure does not technically involve impeachment. In Italy, according to Article 90 of the Constitution, the President of the Republic can be impeached through a majority vote of the Parliament in joint session for high treason and for attempting to overthrow the Constitution. If impeached, the President of the Republic is then tried by the Constitutional Court integrated with sixteen citizens older than forty chosen by lot from a list compiled by the Parliament every nine years. In the Republic of Lithuania, the President may be impeached by a three-fifths majority in the Seimas. President Rolandas Paksas was removed from office by impeachment on April 6, 2004 after the Constitutional Court of Lithuania found him guilty of having violated his oath and the constitution. He was the first European head of state to have been impeached. Members of government, representatives of the national assembly (Stortinget) and Supreme Court judges can be impeached for criminal offenses tied to their duties and committed in office, according to the Constitution of 1814, §§ 86 and 87. The procedural rules were modeled after the US rules and are quite similar to them. Impeachment has been used eight times since 1814, last in 1927. Many argue that impeachment has fallen into desuetude. In cases of impeachment, an appointed court (Riksrett) takes effect. The country's ruling coalition said on August 7, 2008, that it would seek the impeachment of President Pervez Musharraf, alleging the U.S.-backed former general had "eroded the trust of the nation" and increasing pressure on him to resign. He resigned on August 18, 2008. Another kind of impeachment in Pakistan is known as the vote of less-confidence or vote of mis-understanding and has been practiced by provincial assemblies to weaken the national assembly. Impeaching a president requires a two-thirds majority support of lawmakers in a joint session of both houses of Parliament. Impeachment in the Philippines follows procedures similar to the United States. Under Sections 2 and 3, Article XI, Constitution of the Philippines, the House of Representatives of the Philippines has the exclusive power to initiate all cases of impeachment against the President, Vice President, members of the Supreme Court, members of the Constitutional Commissions (Commission on Elections, Civil Service Commission and the Commission on Audit), and the Ombudsman. When a third of its membership has endorsed the impeachment articles, it is then transmitted to the Senate of the Philippines which tries and decide, as impeachment tribunal, the impeachment case. A main difference from US proceedings however is that only one third of House members are required to approve the motion to impeach the President (as opposed to a simple majority of those present and voting in their US counterpart). In the Senate, selected members of the House of Representatives act as the prosecutors and the Senators act as judges with the Senate President presiding over the proceedings (the Chief Justice jointly presides with the Senate President if the President is on trial). Like the United States, to convict the official in question requires that a minimum of two thirds (i.e. 16 of 24 members) of all the Members of the Senate vote in favor of conviction. If an impeachment attempt is unsuccessful or the official is acquitted, no new cases can be filed against that impeachable official for at least one full year. The 1987 Philippine Constitution says the grounds for impeachment include culpable violation of the Constitution, bribery, graft and corruption, and betrayal of public trust. These offenses are considered "high crimes and misdemeanors" under the Philippine Constitution. The President, Vice President, Supreme Court justices, and members of the Constitutional Commission and Ombudsman are all considered impeachable officials under the Constitution. President Joseph Estrada was the first official impeached by the House in 2000, but the trial ended prematurely due to outrage over a vote to open an envelope where that motion was narrowly defeated by his allies. Estrada was deposed days later during the 2001 EDSA Revolution. In 2005, 2006, 2007 and 2008, impeachment complaints were filed against President Gloria Macapagal-Arroyo, but none of the cases reached the required endorsement of 1/3 of the members for transmittal to, and trial by, the Senate. In March 2011, the House of Representatives impeached Ombudsman Merceditas Gutierrez, becoming the second person to be impeached. In April, Gutierrez resigned prior to the Senate's convening as an impeachment court. In December 2011, in what was described as "blitzkrieg fashion", 188 of the 285 members of the House of Representatives voted to transmit the 56-page Articles of Impeachment against Supreme Court Chief Justice Renato Corona. To date, three officials had been successfully impeached by the House of Representatives, and two were not convicted. The latter, Chief Justice Renato C. Corona, on May 29, 2012 has been convicted by the Senate guilty under Article II of the Articles of Impeachment (of betraying public trust), with 20-3 votes from the Senator Judges. Peru's President Pedro Pablo Kuczynski speaks about the impeachment process against him. In Polish law there is no impeachment procedure defined, as it is present in the other countries. Infringements of the law can be investigated only by special Parliament's Committee or (if accusations involve people holding the highest offices of state) by the State Tribunal. The State Tribunal is empowered to rule for the removal of individuals from public office but it is not a common practice. The President of Russia can be impeached if both the State Duma (which initiates the impeachment process through the formation of a special investigation committee) and the Federation Council of Russia vote by a two-thirds majority in favor of impeachment and, additionally, the Supreme Court finds the President guilty of treason or a similarly heavy crime against the nation and the Constitutional Court confirms that the constitutional procedure of the impeachment process was correctly observed. In 1995–1999, the Duma made several attempts to impeach then-President Boris Yeltsin, but they never had a sufficient number of votes for the process to reach the Federation Council. According to the Article 65 Clause 1 of Constitution of South Korea, if President, Prime Minister, or other state council members including Supreme Court and Constitutional court members, violate the Constitution or other laws of official duty, the National Assembly can impeach them. Clause 2 states the impeachment bill may be proposed by one third or more of the total members of the National Assembly, and shall require majority voting and approved by two thirds or more of the total members of the National Assembly. This article also states that any person against whom a motion for impeachment has been passed shall be suspended from exercising his power until the impeachment has been adjudicated and shall not extend further than removal from public office. Provided, That it shall not exempt the person impeached from civil or criminal liability. Two presidents have been impeached since the foundation of the Sixth Republic of Korea and adoption of the new Constitution of South Korea in 1987. Roh Moo-hyun in 2004 was impeached by the National Assembly but was overturned by the Constitutional Court. Park Geun-hye in 2016 was impeached by the National Assembly, and the impeachment was confirmed by the Constitutional Court on March 10, 2017. In Taiwan, according to the Additional Articles of the Constitution of the Republic of China, impeachment of the president or the vice president by the Legislative Yuan shall be initiated upon the proposal of more than one-half of the total members of the Legislative Yuan and passed by more than two-thirds of the total members of the Legislative Yuan, whereupon it shall be presented to the grand justices of the Judicial Yuan for adjudication. In Turkey, according to the Constitution, the Grand National Assembly may initiate an investigation of the President, the Vice President or any member of the Cabinet upon the proposal of simple majority of its total members, and within a period less than a month, the approval of three-fifth of the total members. The investigation would be carried out by a commission of fifteen members of the Assembly, each nominated by the political parties in proportion to their representation therein. The Commission would submit its report indicating the outcome of the investigation to the Speaker within two months. If the investigation is not completed within this period, the Commission's time renewed for another month. Within ten days of its submission to the Speaker, the report would be distributed to all members of the Assembly, and ten days after its distribution, the report would be discussed on the floor. Upon the approval of two thirds of the total number of the Assembly by secret vote, the person or persons, about whom the investigation was conducted, may be tried before the Constitutional Court. The trial would be finalized within three months, and if not, a one-time additional period of three months shall be granted. The President, about whom an investigation has been initiated, may not call for an election. The President, who is convicted by the Court, would be removed from office. The provision of this article shall also apply to the offenses for which the President allegedly worked during his term of office. During the crisis which started in November 2013, the increasing political stress of the face-down between the protestors occupying Independence Square in Kiev and the State Security forces under the control of President Yanukovych led to deadly armed force being used on the protestors. Following the negotiated return of Kiev's City Hall on February 16, 2014, occupied by the protesters since November 2013, the security forces thought they could also retake "Maidan", Independence Square. The ensuing fighting from 17 through 21 February 2014 resulted in a considerable number of deaths and a more generalised alienation of the population, and the withdrawal of President Yanukovych to his support area in the East of Ukraine. In the wake of the President's departure, Parliament convened on February 22; it reinstated the 2004 Constitution, which reduced Presidential authority, and voted impeachment of President Yanukovych as de facto recognition of his departure from office as President of an integrated Ukraine. The President riposted that Parliament's acts were illegal as they could pass into law only by Presidential signature. In the United Kingdom anybody may be prosecuted and tried by the two Houses of Parliament for any crime. The first recorded impeachment is that of William Latimer, 4th Baron Latimer during the Good Parliament of 1376. The last was that of Henry Dundas, 1st Viscount Melville in 1806. The House of Commons holds the power to impeach. Any member may make an accusation of any crime. The member must support the charge with evidence and move for impeachment. If the Commons carries the motion, the mover receives orders to go to the bar at the House of Lords and to impeach the accused "in the name of the House of Commons, and all the commons of the United Kingdom." The mover must tell the Lords that the House of Commons will, in due time, exhibit particular articles against the accused, and make good the same. The Commons then usually selects a committee to draw up the charges and create an "Article of Impeachment" for each. (In the case of Warren Hastings, however, the drawing up of the articles preceded the formal impeachment.) Once the committee has delivered the articles to the Lords, replies go between the accused and the Commons via the Lords. If the Commons have impeached a peer, the Lords take custody of the accused; otherwise, custody goes to Black Rod. The accused remains in custody unless the Lords allow bail. The Lords set a date for the trial while the Commons appoints managers, who act as prosecutors in the trial. The accused may defend by counsel. The House of Lords hears the case. 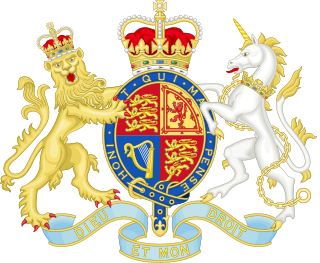 The procedure used to be that the Lord Chancellor presided (or the Lord High Steward if the defendant was a peer); but this was when the Lord Chancellor was both the Lords' presiding officer and head of the judiciary of England and Wales. Since both these roles were removed from that office by the Constitutional Reform Act 2005, which created the Lord Speaker to preside over the Lords and made the Lord Chief Justice head of the judiciary, it is not certain who would preside over an impeachment trial today. If Parliament is not in session, then the trial is conducted by a "Court of the Lord High Steward" instead of the House of Lords (even if the defendant is not a peer). The differences between this court and the House of Lords are that in the House all of the peers are judges of both law and fact, whereas in the Court the Lord High Steward is the sole judge of law and the peers decide the facts only; and the bishops are not entitled to sit and vote in the Court. Traditionally, peers would wear their parliamentary robes during the hearings. The hearing resembles an ordinary trial: both sides may call witnesses and present evidence. At the end of the hearing the lords vote on the verdict, which is decided by a simple majority, one charge at a time. Upon being called, a peer must rise and declare "guilty, upon my honour" or "not guilty, upon my honour". After voting on all of the articles has taken place, and if the Lords find the defendant guilty, the Commons may move for judgment; the Lords may not declare the punishment until the Commons have so moved. The Lords may then decide whatever punishment they find fit, within the law. A royal pardon cannot excuse the defendant from trial, but a pardon may reprieve a convicted defendant. However, a pardon cannot override a decision to remove the defendant from the public office they hold. Parliament has held the power of impeachment since medieval times. Originally, the House of Lords held that impeachment could apply only to members of the peerage, as the nobility (the Lords) would try their own peers, while commoners ought to try their peers (other commoners) in a jury. However, in 1681, the Commons declared that they had the right to impeach anyone, and the Lords have respected this resolution. Offices held "during good behaviour" are terminable by the writ of either quo warranto or scire facias, which has even been employed by and against well-placed judges. After the reign of Edward IV, impeachment fell into disuse, the bill of attainder becoming the preferred form of dealing with undesirable subjects of the Crown. However, during the reign of James I and thereafter, impeachments became more popular, as they did not require the assent of the Crown, while bills of attainder did, thus allowing Parliament to resist royal attempts to dominate Parliament. The most recent cases of impeachment dealt with Warren Hastings, Governor-General of India between 1773 and 1786 (impeached in 1788; the Lords found him not guilty in 1795), and Henry Dundas, 1st Viscount Melville, First Lord of the Admiralty, in 1806 (acquitted). The last attempted impeachment occurred in 1848, when David Urquhart accused Lord Palmerston of having signed a secret treaty with Imperial Russia and of receiving monies from the Tsar. Palmerston survived the vote in the Commons; the Lords did not hear the case. Queen Caroline, consort of King George IV, was tried by the House of Commons and acquitted. The process began as impeachment proceedings, but then became a different procedure as a bill of pains and penalties. The procedure has, over time, become rarely used and some legal authorities (such as Halsbury's Laws of England) consider it to be probably obsolete. The principles of "responsible government" require that the Prime Minister and other executive officers answer to Parliament, rather than to the Sovereign. Thus the Commons can remove such an officer through a motion of no confidence without a long, drawn-out impeachment. However, it is argued by some that the remedy of impeachment remains as part of British constitutional law, and that legislation would be required to abolish it. Furthermore, impeachment as a means of punishment for wrongdoing, as distinct from being a means of removing a minister, remains a valid reason for accepting that it continues to be available, at least in theory. The Select Committee on Parliamentary Privilege in 1967 recommended "that the right to impeach, which has long been in disuse, be now formally abandoned". Their recommendation not having been implemented in the meantime, the Select Committee on Privileges in 1977 declared it "to be of continuing validity" and again urged that it be adopted. Shortly before this report was issued, in April 1977 the Young Liberals' annual conference unanimously passed a motion calling on Liberal Party leader David Steel to move for the impeachment of Ronald King Murray QC, the Lord Advocate, over his handling of the Patrick Meehan miscarriage of justice affair. Steel did not move any such motion but Murray (who later became Lord Murray, a Senator of the College of Justice of Scotland) agreed that the power still existed. The Joint Committee on Parliamentary Privilege in 1999 noted the previous recommendations to formally abandon the power impeachment, and stated that "The circumstances in which impeachment has taken place are now so remote from the present that the procedure may be considered obsolete". Notwithstanding, on August 25, 2004, Plaid Cymru MP Adam Price announced his intention to move for the impeachment of Tony Blair for his role in involving Britain in the 2003 invasion of Iraq. He asked the Leader of the House of Commons Peter Hain whether he would confirm that the power to impeach was still available, reminding Hain that as President of the Young Liberals he had supported the attempted impeachment of Murray. Hain responded by quoting the 1999 Joint Committee's report, and the advice of the Clerk of the House of Commons that impeachment "effectively died with the advent of full responsible Parliamentary government". The election court has some of the powers associated with impeachment cases in other countries, and can remove elected officials from office in the case of electoral fraud. Lutfur Rahman was the directly elected mayor of Tower Hamlets, in London until he was removed from office for breaching electoral rules. The impeachment trial of President Bill Clinton in 1999, Chief Justice William H. Rehnquist presiding. The House managers are seated beside the quarter-circular tables on the left and the president's personal counsel on the right, much in the fashion of President Andrew Johnson's trial. Similar to the British system, Article One of the United States Constitution gives the House of Representatives the sole power of impeachment and the Senate the sole power to try impeachments of officers of the U.S. federal government. (Various state constitutions include similar measures, allowing the state legislature to impeach the governor or other officials of the state government.) In contrast to the British system, in the United States impeachment is only the first of two stages, and conviction during the second stage requires "the concurrence of two thirds of the members present." Impeachment does not necessarily result in removal from office; it is only a legal statement of charges, parallel to an indictment in criminal law. An official who is impeached faces a second legislative vote (whether by the same body or another), which determines conviction, or failure to convict, on the charges embodied by the impeachment. Most constitutions require a supermajority to convict. Although the subject of the charge is criminal action, it does not constitute a criminal trial; the only question under consideration is the removal of the individual from office, and the possibility of a subsequent vote preventing the removed official from ever again holding political office in the jurisdiction where he or she was removed. Impeachment with respect to political office should not be confused with witness impeachment. The Constitution defines impeachment at the federal level and limits impeachment to "The President, Vice President, and all civil officers of the United States" who may be impeached and removed only for "treason, bribery, or other high crimes and misdemeanors". Several commentators have suggested that Congress alone may decide for itself what constitutes a "high crime or misdemeanor", especially since Nixon v. United States stated that the Supreme Court did not have the authority to determine whether the Senate properly "tried" a defendant. In 1970, then-House Minority Leader Gerald R. Ford defined the criterion as he saw it: "An impeachable offense is whatever a majority of the House of Representatives considers it to be at a given moment in history." The central question regarding the Constitutional dispute about the impeachment of members of the legislature is whether members of Congress are officers of the United States. The Constitution grants the House the power to impeach "The President, the Vice President, and all civil Officers of the United States." It has been suggested that members of Congress are not officers of the United States. Others, however, believe that members are civil officers and are subject to impeachment. Federal judicial officers are civil officers and, thus, subject to impeachment. The House of Representatives impeached Senator William Blount in 1798, resulting in his expulsion. However, after initially hearing his impeachment, charges were dismissed for lack of jurisdiction. [page needed] Left unsettled was the question whether members of Congress were civil officers of the United States. The House has not impeached a Member of Congress since Blount. As each House has the authority to expel its own members without involving the other chamber, expulsion has been the method used for removing Members of Congress. Jefferson's Manual, which is integral to the Rules of the House of Representatives, states that impeachment is set in motion by charges made on the floor, charges proferred by a memorial, a member's resolution referred to a committee, a message from the president, or from facts developed and reported by an investigating committee of the House. It further states that a proposition to impeach is a question of high privilege in the House and at once supersedes business otherwise in order under the rules governing the order of business. At the federal level, the impeachment process is a two-step procedure. The House of Representatives must first pass, by a simple majority of those present and voting, articles of impeachment, which constitute the formal allegation or allegations. Upon passage, the defendant has been "impeached". Next, the Senate tries the accused. In the case of the impeachment of a president, the Chief Justice of the United States presides over the proceedings. For the impeachment of any other official, the Constitution is silent on who shall preside, suggesting that this role falls to the Senate's usual presiding officer, the President of the Senate who is also the Vice President of the United States. In theory at least, as President of the Senate, the Vice President of the United States could preside over their own impeachment, although legal theories suggest that allowing a defendant to be the judge in their own case would be a blatant conflict of interest. If the Vice President did not preside over an impeachment (of anyone besides the President), the duties would fall to the President pro tempore of the Senate. To convict an accused, "the concurrence of two thirds of the members present" is required. Conviction removes the defendant from office. Following conviction, the Senate may vote to further punish the individual by barring him or her from holding future federal office, elected or appointed. Conviction by the Senate does not bar criminal prosecution. Even after an accused has left office, it is possible to disqualify the person from future office or from certain emoluments of his prior office (such as a pension). If there is no charge for which a two-thirds majority of the senators present vote "guilty", the defendant is acquitted and no punishment is imposed. Andrew Johnson, Democrat/National Union, was impeached on February 24, 1868, by the House of Representatives after violating the newly created Tenure of Office Act by a 126 to 47 vote. President Johnson was acquitted by the Senate, which voted 35–19 in favor of conviction, falling one vote short of the necessary two-thirds needed to remove him from office. The Tenure of Office Act would later be found unconstitutional by the Supreme Court of the United States in dicta. Bill Clinton, Democrat, was impeached on December 19, 1998, by the House of Representatives on articles charging perjury (specifically, lying to a federal grand jury) by a 228–206 vote and obstruction of justice by a 221–212 vote. The House rejected other articles: one was a count of perjury in a civil deposition in Paula Jones' sexual harassment lawsuit against Clinton (by a 205–229 vote), the second accused Clinton of abuse of power (by a 148–285 vote). President Clinton was acquitted by the Senate. The votes to remove him from office fell short of the necessary two-thirds: 45–55 on obstruction of justice and 50–50 on perjury. Impeachment proceedings against Richard Nixon were referred to the full House of Representatives for consideration and ended with his resignation. In 1876, cabinet officer William W. Belknap (former Secretary of War), resigned before his trial and was later acquitted. Allegedly, most of those who voted to acquit him believed that his resignation had removed their jurisdiction. One Senator, William Blount, in 1797. He was expelled by the Senate, which declined to try the impeachment. This established the precedent that Members of Congress are not subject to impeachment, as they can be removed by action of the House of which they are members without impeachment or any other action being necessary. One Justice of the Supreme Court of the United States, Samuel Chase, impeached in 1804, was acquitted by the Senate. Fourteen other federal judges. Eight of these have been convicted by the Senate and removed, including Alcee Hastings, who was impeached and convicted in 1989 for taking over $150,000 in bribe money in exchange for sentencing leniency. The Senate did not bar Hastings from holding future office, and Hastings won election to the House of Representatives in Florida. Hastings' name was mentioned as a possible Chairman of the House Permanent Select Committee on Intelligence but was passed over by House Speaker-designate Nancy Pelosi, presumably because of his previous impeachment and removal. There have been unsuccessful attempts to initiate impeachment proceedings against Richard Nixon, George W. Bush, Barack Obama, and Donald Trump. Jack C. Walton, Democratic Governor of Oklahoma, was impeached for a variety of crimes including illegal collection of campaign funds, padding the public payroll, suspension of habeas corpus, excessive use of the pardon power, and general incompetence. In November 1923, Walton was convicted and removed from office. Evan Mecham, Republican Governor of Arizona, was impeached for obstruction of justice and misusing government funds and removed from office in April 1988. Rod Blagojevich, Democratic Governor of Illinois, was impeached for abuse of power and corruption, including an attempt to sell the appointment to the United States Senate seat vacated by the resignation of Barack Obama. He was removed from office in January 2009. ^ Baltzell, George W. "The Constitution of the United States - We the People - an easy to read and use version". constitutionus.com. Retrieved 2019-04-12. ^ Erskine, Daniel H. (2008). "The Trial of Queen Caroline and the Impeachment of President Clinton: Law As a Weapon for Political Reform". Washington University Global Studies Law Review. 7 (1). ISSN 1546-6981. ^ Andrew Jacobs (April 17, 2016). "Brazil's Lower House of Congress Votes for Impeachment of Dilma Rousseff". The New York Times. Retrieved November 13, 2016. ^ "Brazil's Dilma Rousseff to face impeachment trial". BBC News. May 12, 2016. Retrieved 2016-11-13. ^ "Constitution of Croatia" (PDF). § 105. Retrieved March 12, 2017. ^ Ústava České republiky. Psp.cz. Retrieved 2013-07-12. ^ "Czech President Vaclav Klaus faces treason charge". BBC News. March 4, 2013. Retrieved October 23, 2016. ^ Rob Cameron (March 28, 2013). "Constitutional Court throws out treason charges against ex-president Klaus". Radio Praha. ^ Ústava České republiky. Psp.cz. Retrieved on 2016-10-23. ^ a b "Basic Law of Hong Kong". basiclaw.gov.hk. Hong Kong Special Administrative Region Government. Retrieved November 13, 2016. ^ "The Prevention of Insults to National Honour (Amendment) Act of 1971" (PDF). Retrieved 2 July 2017. ^ DON., RILEY (2017). LOCK HIM UP : impeachments in the united states. [S.l. ]: LULU COM. ISBN 9781365960857. OCLC 1004843561. ^ Cowell, Alan (1991-12-13). "President of Italy is Making Political Waves". The New York Times. ^ "Italy parliament rejects bid to impeach President Napolitano". Reuters. 2014-02-11. ^ Horowitz, Jason (2018-05-28). "Italian President's Loyalty to the Euro Creates Chaos". The New York Times. ^ a b c "Constitution of the Principality of Liechtenstein" (PDF). hrlibrary.umn.edu. Legal Service of the Government of the Principality of Liechtenstein. 2003. Retrieved November 13, 2016. ^ "The Constitution of the Republic of Lithuania". Retrieved 2016-04-04. ^ "Lithuanian Parliament Removes Country's President After Casting Votes on Three Charges". The New York Times. April 7, 2004. Retrieved 2016-04-04. ^ Chan-Robles Virtual Law Library. "The 1987 Constitution of the Republic of the Philippines - Article XI". Retrieved 2008-07-25. ^ a b Gay, Oonagh (November 30, 2004). "Standard Note SN/PC/2666: Impeachment" (PDF). House of Commons Library. Retrieved 2009-11-01. ^ "Report from the Select Committee on Parliamentary Privilege", HC 34 1967-68 para 115. ^ "Third report from the Committee of Privileges: Recommendations of the Select Committee on Parliamentary Privilege", HC 417 1976-77 para 16. ^ "Liberals confident of victory on petrol duty". The Times. April 11, 1977. p. 2. ^ "Joint Committee on Parliamentary Privilege report", HC 214 1998-99, para 16. ^ Hansard HC 6ser vol 424 col 871. ^ "Tower Hamlets election fraud mayor Lutfur Rahman removed from office". BBC News. April 23, 2015. Retrieved April 23, 2015. ^ a b U.S. Constitution. Article I, § 3, clause 6. 2009-11-12. ^ "Nixon vs. United States". Illinois Institute of Technology, Chicago-Kent School of Law. Retrieved July 29, 2014. ^ Willoughby, Westel Woodbury (1917). Principles of the Constitutional Law of the United States. Baker, Voorhis & Company. ^ Oceana (2007). American International Law Cases: Fourth series. Oceana. ISBN 9780195372892. ^ Buckner F. Milton (1998). The First Impeachment. Mercer University Press. ISBN 9780865545977. ^ "U.S. Senate: Impeachment". www.senate.gov. Retrieved 2018-09-19. ^ "Impeachment History". Infoplease. Retrieved 2013-07-12. 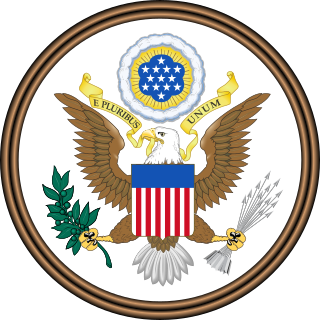 ^ "U.S. Senate: 1 Briefing on Impeachment". Senate.gov. Archived from the original on December 8, 2010. Retrieved November 13, 2016. ^ Watkins, Ronald J. (1990). High Crimes and Misdemeanors : The Term and Trials of Former Governor Evan Mecham. New York: William Morrow & Co. ISBN 978-0-688-09051-7. ^ Saulny, Susan (2009-01-09). "Illinois House Impeaches Governor". The New York Times. Retrieved April 21, 2009. Look up impeachment in Wiktionary, the free dictionary. Gerhardt, Michael J. The federal impeachment process. The President of India is the ceremonial head of state of India and the commander-in-chief of the Indian Armed Forces. A bill is proposed legislation under consideration by a legislature. A bill does not become law until it is passed by the legislature and, in most cases, approved by the executive. Once a bill has been enacted into law, it is called an act of the legislature, or a statute. Bills are introduced in the legislature and are discussed, debated and voted upon. The Constitution of Austria is the body of all constitutional law of the Republic of Austria on the federal level. It is split up over many different acts. Its centerpiece is the Federal Constitutional Law (Bundes-Verfassungsgesetz), which includes the most important federal constitutional provisions. The Italian Parliament is the national parliament of the Italian Republic. It is the representative body of Italian citizens and is the successor to the Parliament of the Kingdom of Sardinia (1848–1861) and the Parliament of the Kingdom of Italy (1861–1946). It is a bicameral legislature with 945 elected members and a small number of unelected members (parlamentari). The Italian Parliament is composed of the Chamber of Deputies and Senate of the Republic. The two houses are independent from one another and never meet jointly except under circumstances specified by the Constitution of Italy. 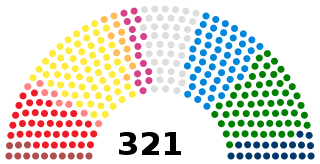 The Constitution of the Italian Republic was enacted by the Constituent Assembly on 22 December 1947, with 453 votes in favour and 62 against. The text, which has since been amended 15 times, was promulgated in the extraordinary edition of Gazzetta Ufficiale No. 298 on 27 December 1947. The Constituent Assembly was elected by universal suffrage on 2 June 1946, at the same time as a referendum on the abolition of the monarchy. The Constitution came into force on 1 January 1948, one century after the Statuto Albertino had been enacted. Although the latter remained in force after Benito Mussolini's March on Rome in 1922, it had become devoid of substantive value. Impeachment in the United States is the process by which the lower house of a legislature brings charges against a civil officer of government for crimes alleged to have been committed, analogous to the bringing of an indictment by a grand jury. At the federal level, this is at the discretion of the House of Representatives. Most impeachments have concerned alleged crimes committed while in office, though there have been a few cases in which officials have been impeached and subsequently convicted for crimes committed prior to taking office. The impeached official remains in office until a trial is held. That trial, and their removal from office if convicted, is separate from the act of impeachment itself. Analogous to a trial before a judge and jury, these proceedings are conducted by upper house of the legislature, which at the federal level is the Senate. The United Kingdom does not have a codified constitution such as other countries tend to have. Instead of such a constitution, certain documents stand to serve as replacements in lieu of one. These texts and their provisions therein are considered to be constitutional, such that the "constitution of the United Kingdom" or "British constitution" may refer to a number of historical and momentous laws and principles like the Acts of Union 1707 and the Acts of Union 1800 which formulate the country's body politic. Thus the term "UK constitution" is sometimes said to refer to an "unwritten" or uncodified constitution. The British constitution primarily draws from four sources: statute law, common law, parliamentary conventions, and works of authority. Similar to a constitutional document, it also concerns both the relationship between the individual and the state and the functioning of the legislature, the executive, and the judiciary.